Please join us as Mark Trimmer, Captain and Quartermaster of the Varnum Continentals Historic Military Command, gives a presentation on “General James Mitchell Varnum: Rhode Island’s Other Famous General”. Mark will discuss the General and his place in Revolutionary War history. He will also provide background on the Varnum House Museum, Varnum Memorial Armory, and the Varnum Continentals Historic Military Command. More than a Safe cracker! 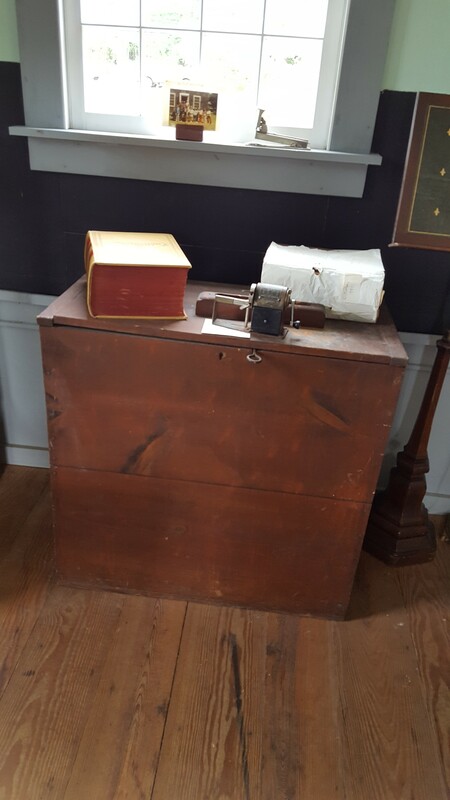 For many years we wondered exactly what was inside the safe located at the Clerk’s Office in Carolina. The safe dates back to 1882 and the treasure it contains is its interior structure. The mystery was solved thanks to a local locksmith, Thomas King (www.charihosafeandlock.com). Additionally, King a history buff, along with Kathleen Gallagher, cleaned out the Clerk’s Office. We are in the process of getting it ready to hold displays and be opened to the public. 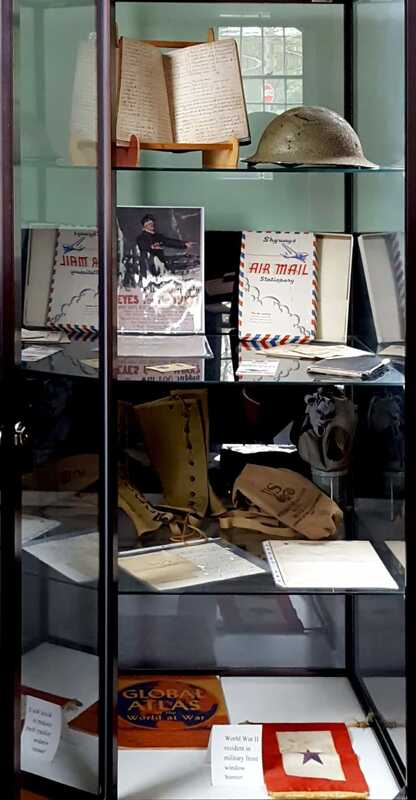 We look forward to Mr. King sharing the historical artifacts he has collected, along with perhaps some anecdotes involving his business. We recently received two donation from members. The first, from a long time member, Roberta Whelan, a Webster’s Dictionary, published in 1937. 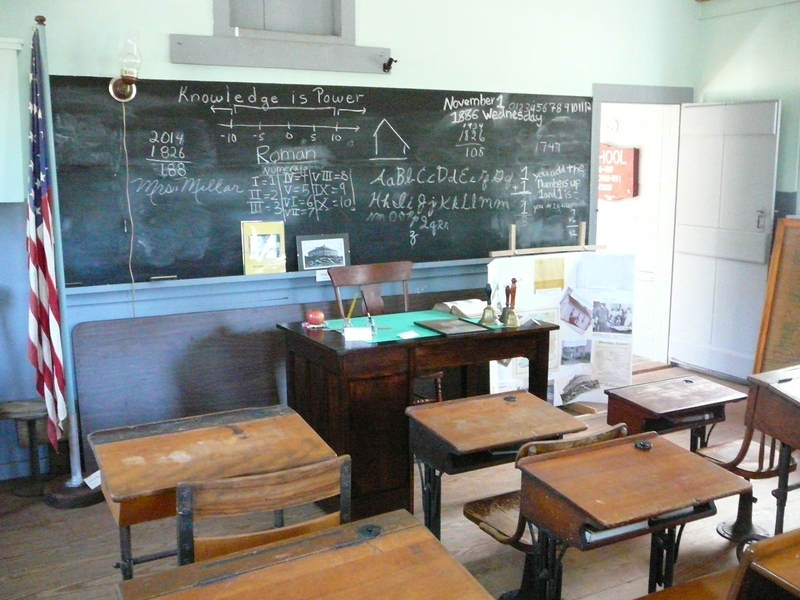 This belonged to her mother, Mary (Taber) McCutcheon, who taught school for many years in Quebec, Canada. 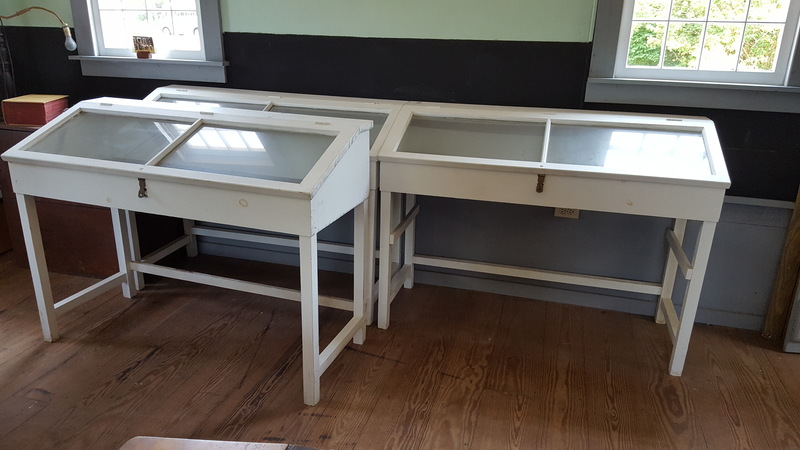 After a coat of paint, they will soon be ready to hold some of the treasures from our Archives.